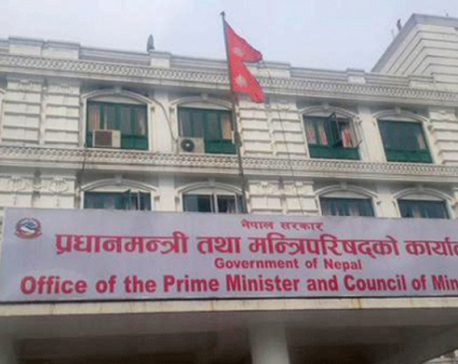 KATHMANDU, March 23: Following directives of the Ministry of Federal Affairs and General Administration (MoFAGA), all ministries and their subordinate units in the Kathmandu Valley have barred "defiant" civil servants from signing attendance sheets. The ministries and their departments barred the civil servants deputed to the local units and provinces from marking attendance as they declined to go to their new workstations. This comes amid complaints that civil servants have yet to report to their offices in the local units and provinces, making it difficult for the provincial and local governments to run their day to day activities. During a meeting with Prime Minister KP Sharma Oli on Wednesday, chief ministers of all provinces had complained that they lacked not only necessary legislation and financial resources but also civil servants. They also asked Prime Minister Oli to address the issues at the earliest to ensure the smooth functioning of the local governments. On Wednesday, MoFAGA wrote to all ministries to stop allowing 'defiant' civil servants to sign the attendance sheets in their offices. This came in the wake of General Administration Minister Lal Babu Pandit warning to sack civil servants from their jobs if they declined to go to their assigned duty stations. Minister for Labor and Employment, Gokarna Bista had barred all employees deputed from the ministry to the local units and provinces from signing the attendance sheets at the ministry.